One of my favourite things about felt crafting is how, with a bit of imagination, you can use one tutorial to make lots of different things. You can switch up colours, enlarge pattern pieces, add decorative details, turn a brooch into an ornament or sew it as a patch, recreate a design using coloured paper or card... there are always so many possibilities! My new series of tutorials for The Village Haberdashery's blog springs from this idea, as I'm sharing some fun new ways to re-use the templates from my A Year of Wreaths projects. 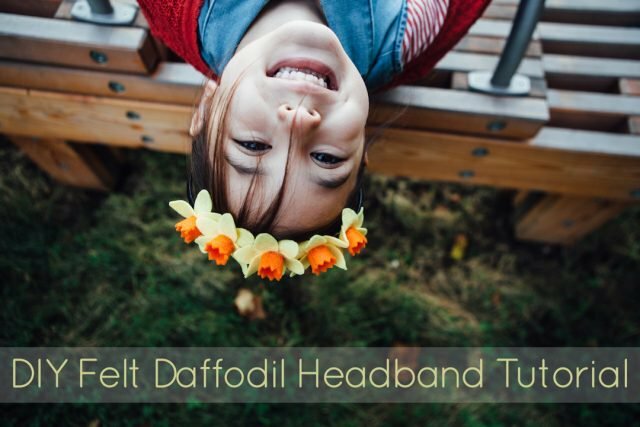 First up: a felt daffodil headband! This design is perfect for spring parties, or for adding a bit of floral fun to any outfit. 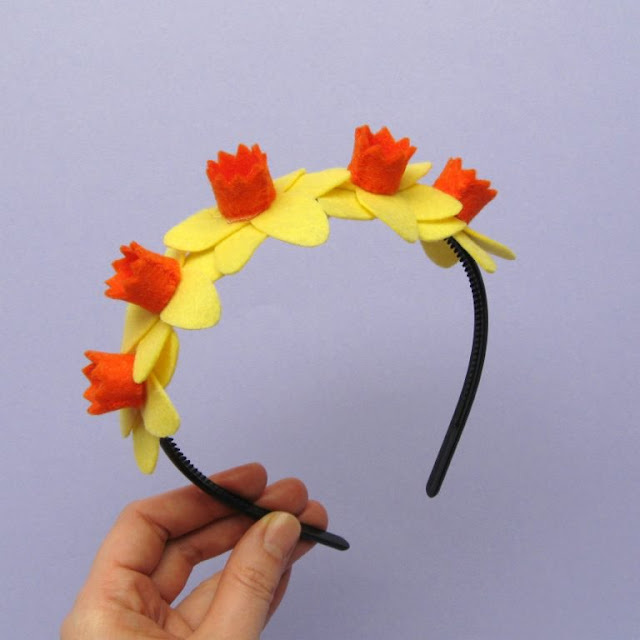 Click here for the step by step daffodil headband tutorial. 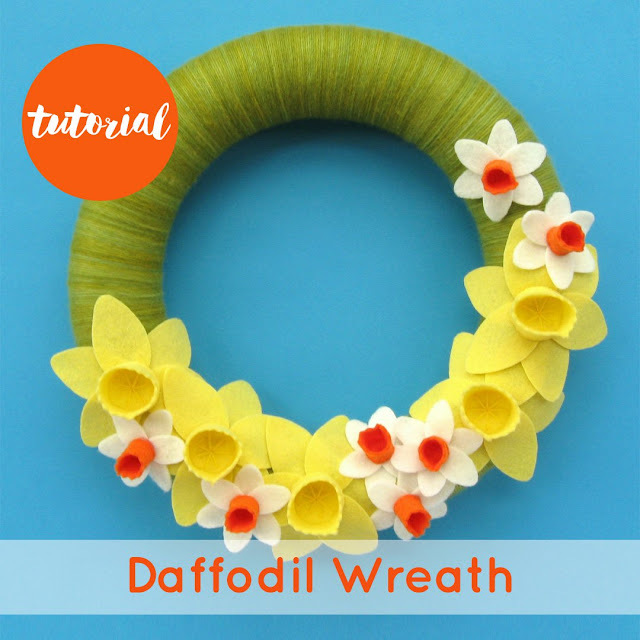 And click here to make the felt daffodils wreath or here to find links to all 12 wreaths in the series. P.S. Want even more spring craft ideas? Check out this post for butterflies, bunnies and more!